With consistent summer-like temperatures all year-round, it is not uncommon for homeowners and business owners are using their air conditioning system just about every day to escape the hot and humid climate. Before kicking the thermostat temperature all the way down and leaving your AC unit on for multiple days at a time, consider some of the tips we put together below to help you be efficient and avoid the risk of breakdowns. Ductless, also known as mini-split or inverter air conditioners, offer numerous benefits when it comes to cooling your home or business. Using inverter air conditioner technology, these AC units are more energy efficient, quieter, long-lasting, and they can save you money when compared to central air conditioning. If you are in need of an air conditioning system replacement and aren’t already utilizing this air conditioning technology, its a great alternative to central AC. However, even a ductless air conditioner can be overworked. However, by following the guidelines below, you’ll never have to worry about your system failing. Just like regular AC units, ductless air conditioners need to have routine maintenance. While they require significantly less maintenance than central air conditioning units, it is important to ensure maintenance takes place each year. Problems with your AC system often sneak up on you and potentially cause you to be without air conditioning — something you want to be able to come home to in Barbados. Contact your preferred AC specialists to perform a maintenance check on your system. One of the biggest advantages of using a ductless cooling system is the ability to have customizable control of the temperature throughout your home or business. This means that you can control the temperatures in different zones of your residential or commercial property. This feature can actually save you some money on energy bills, especially if you have rooms in your that are unoccupied, or areas that need more cooling than others such as a bedroom or living area. 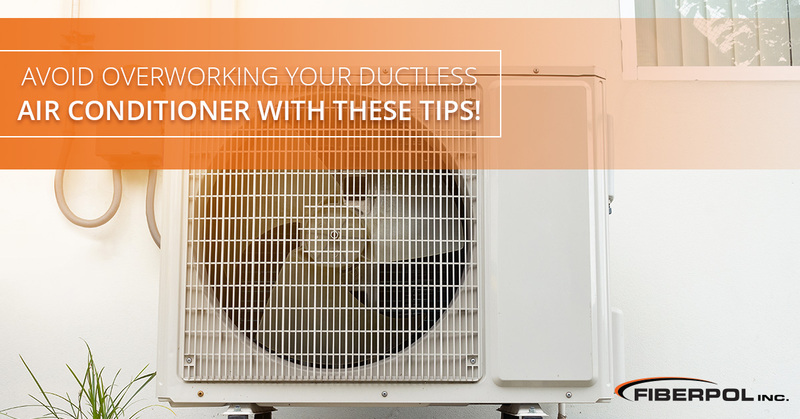 By following these two tips, your ductless air conditioner system is less susceptible to being overworked. Give your AC unit a break, and try these 10 ways to keep your home cool. 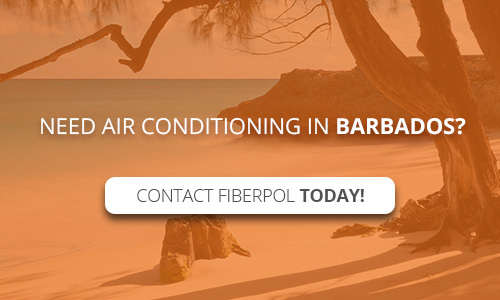 If you are ready for an inverter or ductless air conditioner in Barbados, contact the experts at FiberPol. We carry Streamline Inverter Air Conditioners as well as traditional units. To learn more about inverter air conditioning technology or to schedule a free consultation, contact us!